Cloud computing is one of the fastest growing areas in the world of IT, and there’s good reason for it - it can give high performance and accessibility while remaining extremely affordable. 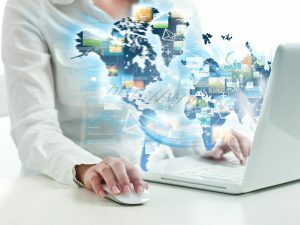 Essentially, The Cloud allows you to store and access data over the internet, as opposed to the hard drive of a computer. The benefits are numerous - together with price and performance, it’s also easily scalable, so you can react accordingly as your business grows, and flexible; meaning you can access files and applications wherever you are. Here at Matrix7, we’ve got extensive experience delivering Cloud services, and helping businesses get the most out of it. We can design a customised cloud solution that’s tailored specifically to suit your needs and budget; from a simple hosted email solution using Office 365 to a full migration of your entire infrastructure to The Cloud. The versatile options available are sure to make your life easier, and we have the personnel to guide you through the process. What does migrating your infrastructure mean? Well, it means removing all your current servers that you have on your premises, and hosting the equivalent role those servers provide to your organisation. This means that these machines will then reside in our cloud data centre as virtual machines. Migrating in this way has a myriad of benefits; from reducing your in office power consumption to the flexibility it gives to your growing business. The flexibility comes from being able to simply add more RAM, CPU or storage space quickly and easily to your cloud based machines as your business grows. If you’d like to contact us; then one of our friendly, knowledgeable staff will customise a unique solution to meet your individual requirements. We can even gradually stage the roll out of your cloud infrastructure. By this we mean we keep some of your on-site equipment and incorporate it into the cloud solution until the server/device come to the end of life. Like the sound of our Cloud solutions in Canberra and beyond, but want to try it out before committing fully? That’s no problem; since we offer a 14 day trial of our cloud services, absolutely free! Our IaaS (Infrastructure as a Service) trial allows you to see whether it’s for you, with no obligations. Two weeks should be plenty of time to test and evaluate this service, so why not give it a try today?